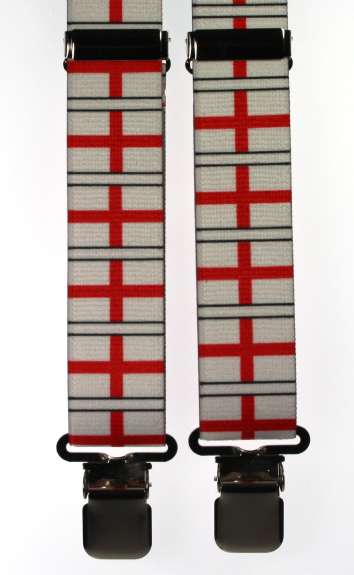 Smart, red and white St George Cross Flag Braces. Just the right mens accessory for flying the flag whether at work, rest or play! Extra strong, large non slip silver coloured clip ends, two front and two back. 3 1/2 cm strong elastic. One size fits all. Fully adjustable.